Singapore Sports Hub Stepper is a stair climbing and endurance event which aims to offer participants a whole new experiential level of stair climbing for people of all ages and physical abilities. 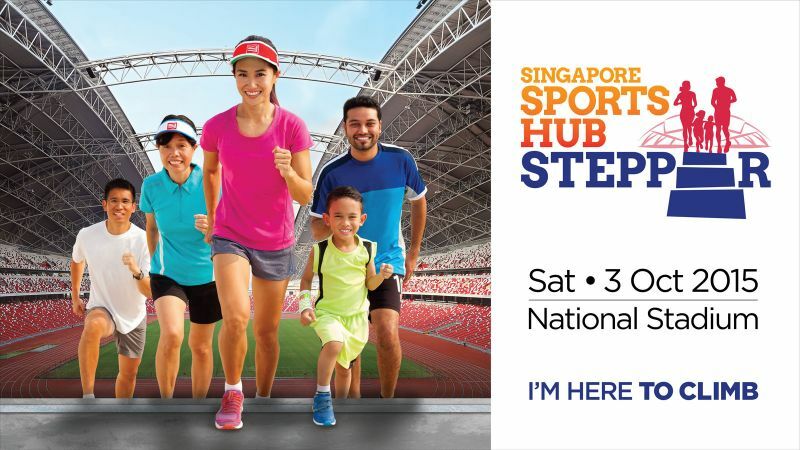 Sign up for the Singapore Sports Hub Stepper - with two fun categories and four competitive categories, there's something for everyone! Get your Stepper Pack with every registration! For the Competitive Stepper categories, registration closes on 10 September 2015 or when all slots are filled, whichever earlier. See the Registration details page on qualifying sessions. For the Fun Stepper & Kids Climb categories, registration closes on event day, 3 October 2015, or when all slots are filled, whichever earlier. Find out about your Stepper Pack collection details, participant entitlement and more on the Registration Details page!